Friday: Two weeks until Christmas! True confession, most of my pictures are from phone. I do posses a nice camera, but it needs replacing, so my lovely little iPhone 5 has been doing the job. Except lately it has decided to take lots of blurry photos. Cool, huh? Anyone else having this issue? If you read any of my other posts about Thanksgiving, you will know why this gets the top spot. 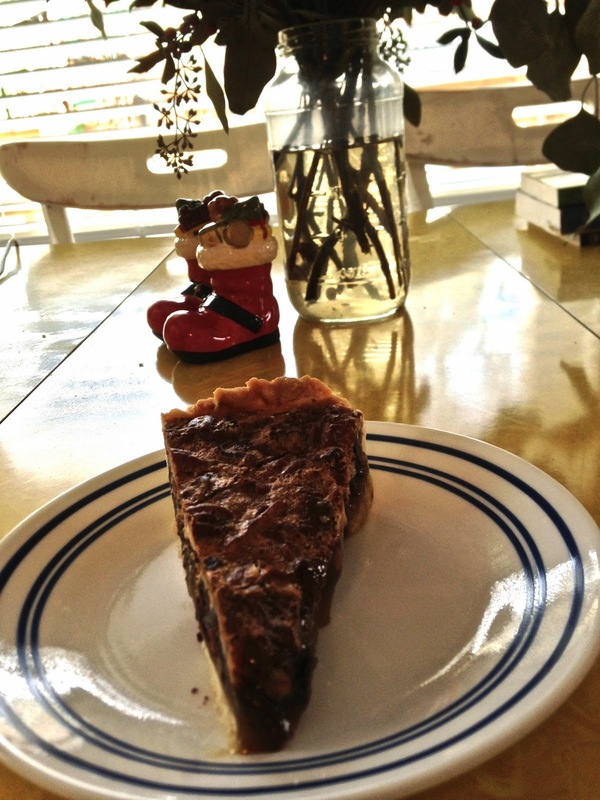 This chocolate pecan pie cheered me up quite a bit when I was feeling like mud. My big Saturday night excitement was getting a Christmas tree! I stayed up until TEN AT NIGHT to decorate it. Can you believe it? Then I moved it, with all the ornaments on it, the next day. I am fickle like that. I came home to this one night and I found it hysterical. It’s the little things. Have you ever mixed Porter + Framboise? It is fruity, fizzy, chocolatey and malty. YUM. I enjoy my job more and more as time passes. This has got to be one of the highest items on my 2014 thankful list. We spend so much time at work that it seems so wasteful to not be happy there. #5 is so true. I give thanks all the time for my job and team. 10 AT NIGHT?! You animal! 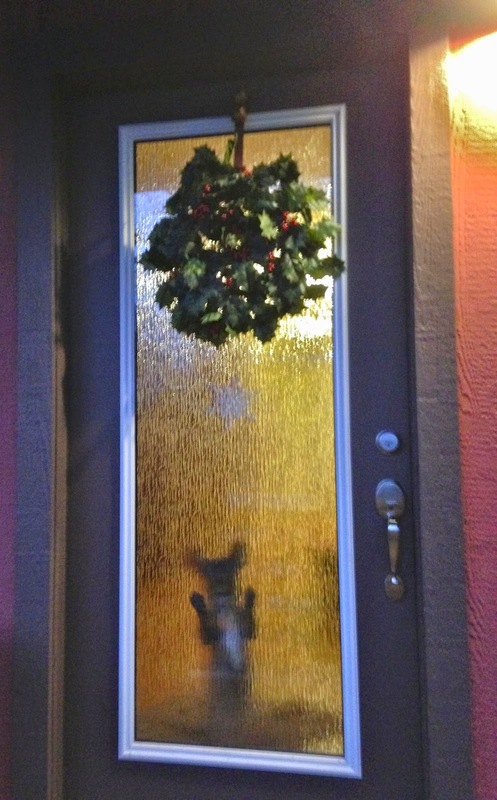 Your doggie behind the door is hilarious!